Water is the basis of every life form and it is essential for our survival. It is needed to fertilise soil, preserve ecosystems and produce energy. It has been the driving force behind great migrations, the subject of disputes and conflicts between communities, regions and nations and the subject of national and international treaties. Drinkable water is a scarce commodity on our planet, making up no more than 1% of the total water present on Earth. Currently there are approximately 800 million people who still don’t have access to drinkable water and predictions for 2030 anticipate a 40% increase in water demand, in particular for food production. The United Nations 2030 Agenda for sustainable development envisages an ambitious mission in the coming years: “to ensure availability and sustainable management of water and sanitation for all”. 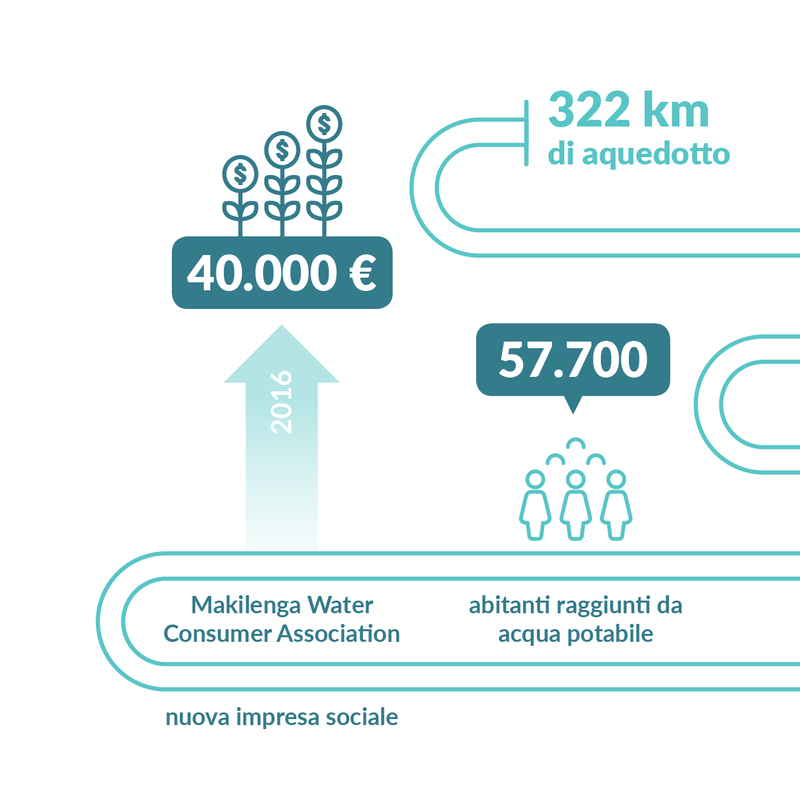 Water is a precious resource that must be preserved for future generations: in our projects we promote participatory management, shared with local communities and focused on the environment to promote a fair and controlled distribution. 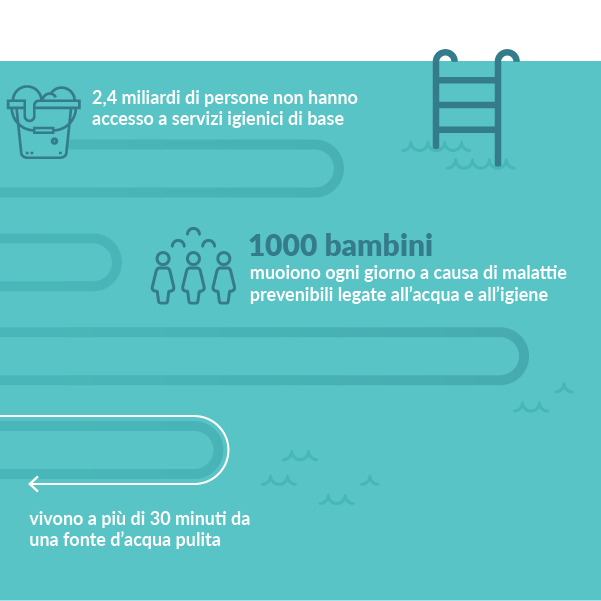 This methodology helps to reduce potential conflicts and facilitates the inclusion of the most vulnerable subjects, with the aim of promoting the responsible use and maintenance of water services. Each of our operations, from applying appropriate engineering solutions to strengthening local skills, is based on the collaboration and active involvement of all local stakeholders. We work to fight waste, pollution and the overuse of water through an ongoing effort to educate and raise awareness among the population. We promote low-energy consumption water-supply techniques with the use of photovoltaic and wind systems. We develop systems that require reasonable investment and maintenance costs; we use a modular technical design meaning that they can be expanded, keeping in mind the communities’ financial and management capacities. We manage the variations in rainfall intensity due to climate change through water and soil conservation operations, which improve storage and protect the land from flooding (small dams, water source protection techniques). 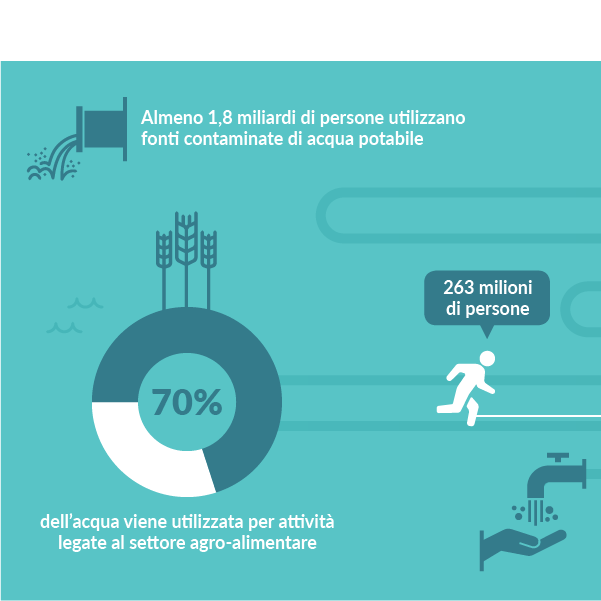 We promote low-water consumption conservation farming practices and the cultivation of agricultural products that can more readily adapt to variations in production cycles and water quality. We promote participatory and inclusive management systems that encourage the creation of associations and representatives in villages responsible for the management of systems, the use and optimisation of local funds and consumption monitoring. We develop awareness campaigns to promote the sustainable use of water and sanitary-environmental practices to improve the living conditions of the local population. We train communities by actively involving them in the construction of latrines, drainage and waste-water disposal systems to make them more conscious of and responsible for the environment in which they live. 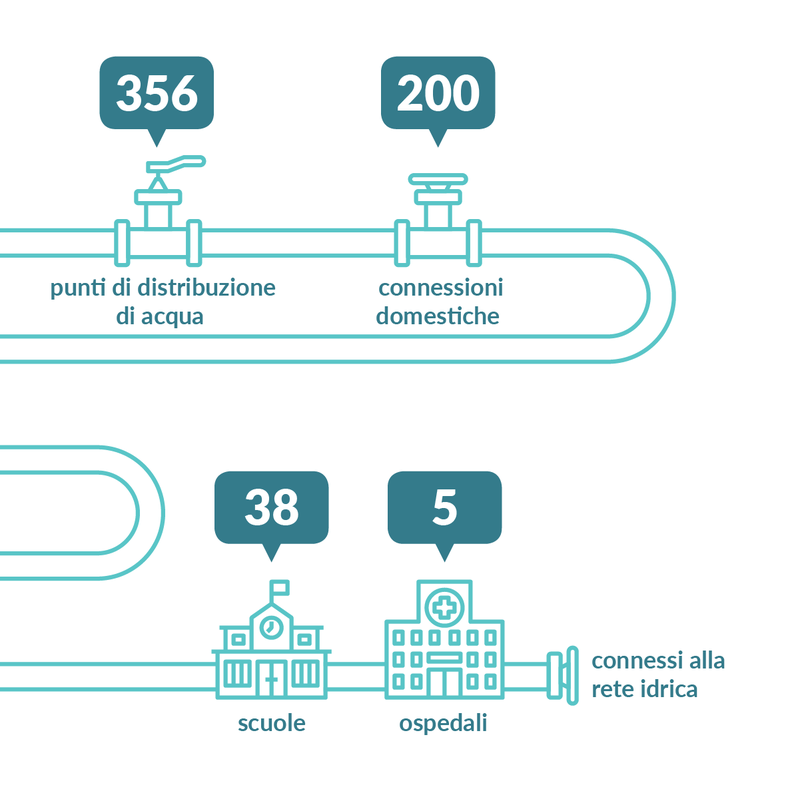 We build water distribution networks based on simple systems that are easy to manage and maintain, favouring gravity or photovoltaic energy systems. The construction of wells is carried out only once it has been ascertained that the community is capable of managing them and by always adopting the most appropriate water-lifting method. In addition, the choice of the location of earth dams for agricultural or animal use is the result of careful consideration and the joint action between communities and authorities taking into account the property, the use and environmental impact.